OPEN HOUSE THIS WEEKEND 4/13 and 4/14. Kings River Village BEAUTY HIGHLY sought after 4BR/3.5BA open floor plan with soaring ceilings in the entry & great-room. 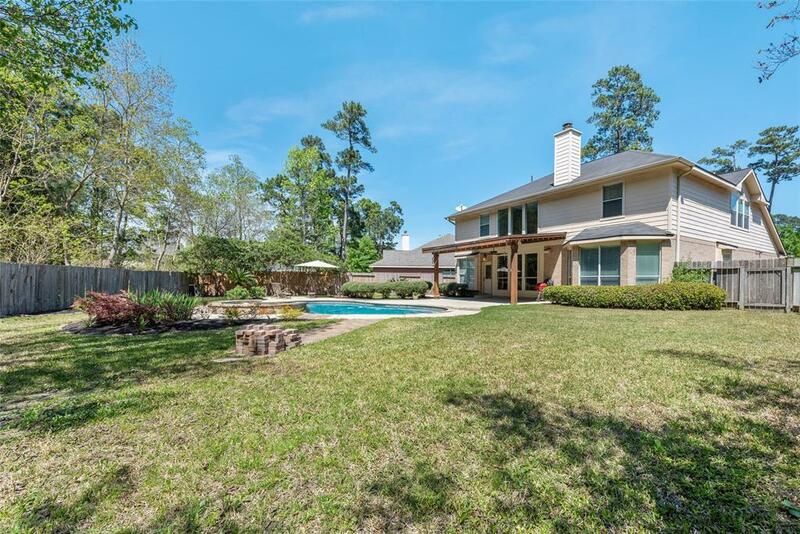 Natural light infiltrates every corner of the home with a wall of picturesque windows overlooking the enticing backyard w/pool & spa, large covered patio, great for entertaining and cooling off on summer days! The backyard is massive, with enough grass for a pick up sports game or garden area! Updated bronze fixtures in Kitchen w/extra deep carbonate sink & breakfast room has bench style windows that open to living area. Master on main floor w/ a fabulous view to the backyard through the bay windows & an en suite w/double sinks, vanity, separate shower, whirlpool tub & walk-in closet featuring builtins. Upstairs features a large game room, and 3 bedrooms with 2 full baths. 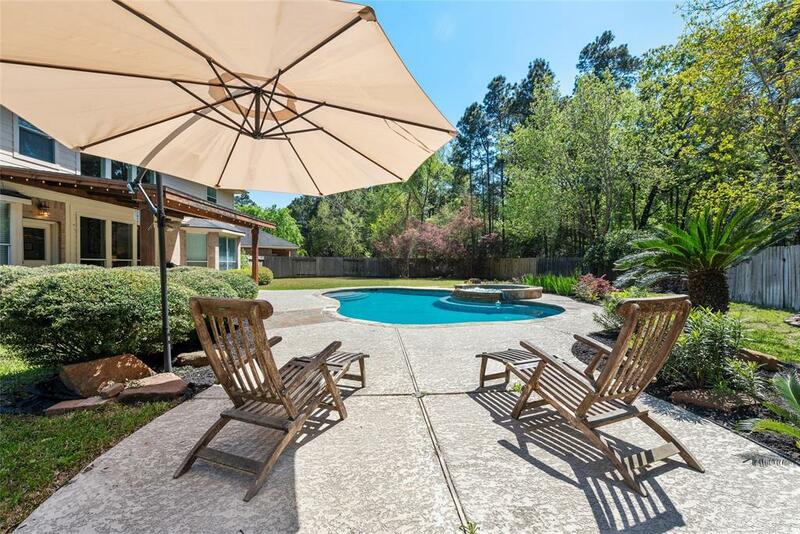 NO BACK NEIGHBORS and Kingwood Schools, centrally located with ease of access to Kingwood and Atascocita. Did not flood in Harvey.